RV World MI brings exceptional customer service and high-quality RVs, satisfying customers all over Michigan! Take an adventure around the country with the 2020 Palomino Backpack Edition SS-1251! Find this Truck Camper and other quality RVs on our lot at 7834 S Division Grand Rapids Michigan 49548! To talk about this model with one of our RV experts, call us today at 616-591-3632! 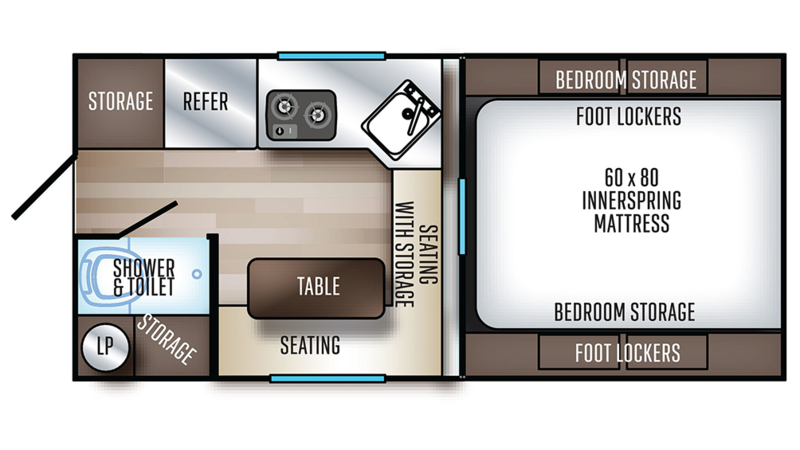 There's enough sleeping space for a family of 3 inside! You'll sleep without a problem on the Queen bed in the master bedroom! Your family will stay clean throughout the camping trip, thanks to the shower inside the bathroom! With 20 lbs. of LP tank capacity, you won't have to worry about running out of hot water! Avoid dirtying up your hands with the Cassette toilet! The used water and waste are stored in the gallon gray water tank and the 7 gallon black water tank, respectively.